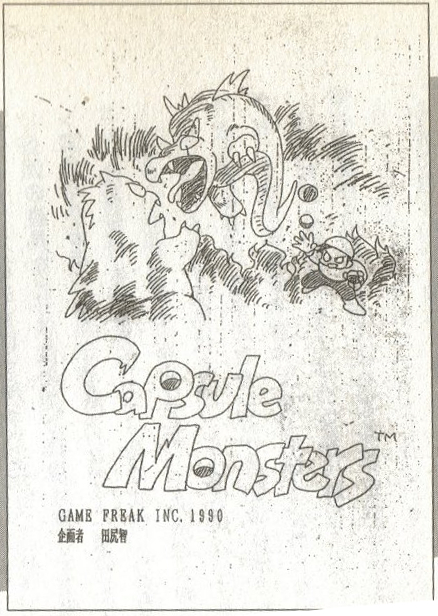 Between 1990 and 1996, a company named Game Freak worked on a game dubbed Pocket Monsters. The company began its life as a fanzine written by Satoshi Tajiri and illustrated by Ken Sugimori. It became a developer when Mr. Tajiri, unsatisfied with the poor quality of the games he discussed, decided to throw his hat in the ring. The project hit many snags along the way, with five employees quitting and Mr. Tajiri taking no salary, instead having live off his father’s income. They received help from members of Ape, Inc., the company that famously produced Mother and its sequel – passion projects of copywriter Shigesato Itoi. The long development cycle had profound implications for everyone involved. 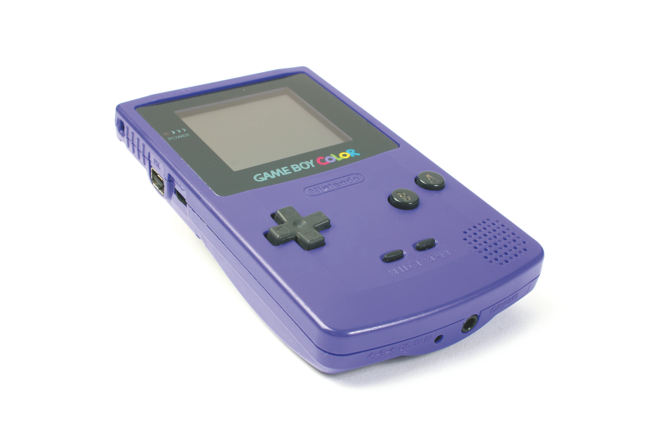 By 1996, Nintendo’s inaugural portable console, the Game Boy, had begun showing its age. While a collection of highly regarded games debuted on the platform, they were eventually seen as watered-down versions of console experiences. This didn’t matter to enthusiasts at the time, for they felt it to be an acceptable tradeoff for being able to bring a game with them at all. It was when gaming entered its fifth console generation that this proposition became less defensible. The experimental 3D titles of the PlayStation, Sega Saturn, and Nintendo 64 made the monochromatic Game Boy seem less impressive by the day. Nintendo executives were ready to declare a loss after Pocket Monsters saw its release in 1996 – even after splitting it into two versions. The critical reception seemed to confirm their apprehension, as the few reviews written about it were lukewarm with Famitsu giving it a score of twenty-nine points out of a possible forty. In light of these circumstances, no one could’ve predicted that this relative newcomer would singlehandedly revitalize the Game Boy when Pocket Monsters began selling by the millions. Despite this success, Game Freak was hesitant to localize Pocket Monsters. Indeed, the idea of releasing it internationally didn’t cross the minds of the development teams. It wasn’t until the then-president of Nintendo, Hiroshi Yamauchi, told them “Release this in America!” that localization was unavoidable. However, there was one slight problem: Game Freak didn’t have people to spare to create a port. As such, they found themselves in a precarious position between having to choose between focusing their attention on the sequel or develop an English version. 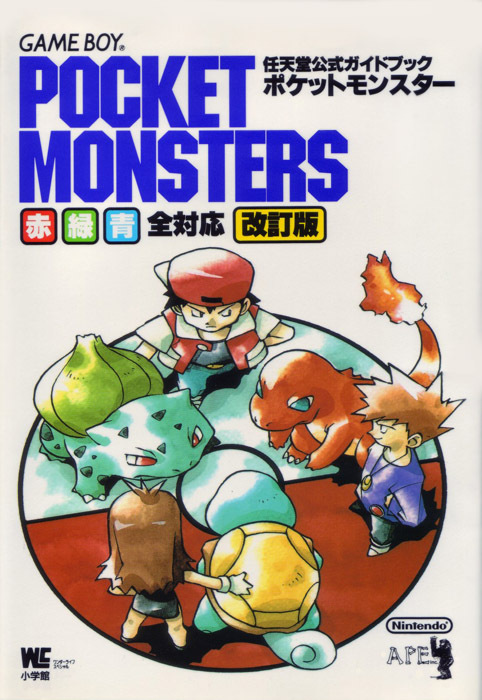 Not wishing to stop the momentum Pocket Monsters had gained, they elected to begin developing the sequel immediately, believing “overseas development is just a dream within a dream”. Fortunately, one man was willing to step up to the plate: Satoru Iwata, the president of HAL Laboratories. Joined by Teruki Murakawa, the Assistant Department Manager of the plan production headquarters, he began working on a version of Pocket Monsters tailor-made for Western languages upon obtaining the source code. It is highly unusual for a company president to perform extensive analyses of the source code, yet it was through Mr. Iwata’s efforts that Pocket Monsters saw an official release abroad under the name Pokémon. Because there was little faith in the games to find an audience in the United States, it came as a complete shock when they proceeded to become bestsellers there as well. Pokémon was to the late nineties what Transformers and Teenage Mutant Ninja Turtles were to mid and late-eighties respectively – a truly inescapable phenomenon that united kids from all walks of life. With Pokémon having fared well both domestically and abroad, Mr. Tajiri and the rest of Game Freak faced an enormous amount of pressure to succeed. Within a few short years, the games inspired an anime series, multiple manga stories, and a treasure trove of spinoffs. Even so, fans across the world were waiting with baited breath for an official follow-up to the titles that started it all. Nintendo first announced the existence of a sequel in 1997, calling it Pocket Monsters 2: Gold & Silver. However, 1997 passed without a release for these games. It wasn’t until March of 1998 when the company announced a delay, though the games were now called Pocket Monsters: Gold & Silver, having dropped the number from the title. After a year passed with no official word, Nintendo of Japan’s website updated with new information with a revised release date in June of 1999. Even better, these games would be compatible with the Game Boy Color. It is largely due to the overnight success of Pokémon that this machine was created. As its name suggests, the Game Boy Color was an upgrade to the original Game Boy, rendering compatible titles in color. It stood out from other handheld consoles in that it was backwards compatible. This allowed the Game Boy Color to launch with a sizable library from the onset. 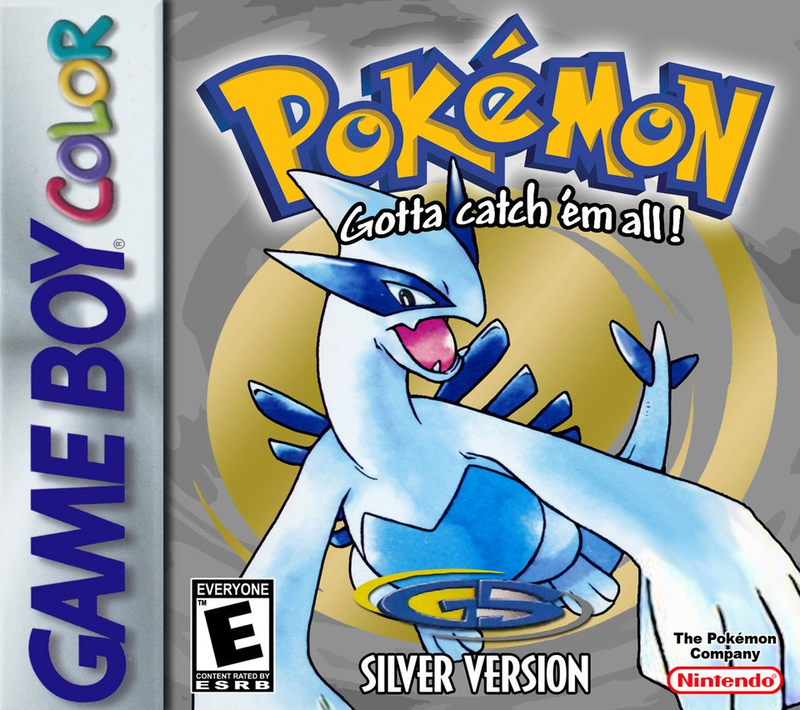 The release date for Pocket Monsters: Gold & Silver was ultimately delayed again to November 21, 1999. Six months later, the game had sold 6.5 million copies domestically. With the franchise’s popularity transcending cultures, it was a question of when the localized games would make their international debut – not if. The games debuted in Australia and North America in October of 2000 before being released in April of 2001 in Europe. Keeping in line with their predecessors’ naming conventions, they were dubbed Pokémon Gold and Silver in foreign markets. 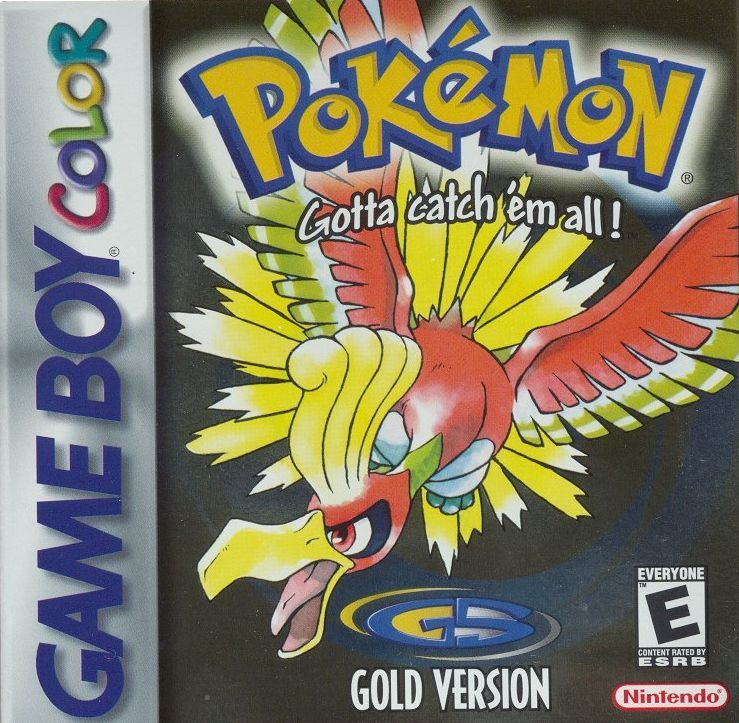 As a contrast to their predecessors’ reception, Pokémon Gold and Silver were critically acclaimed upon release in addition to faring well commercially. Pokémon fever had well and truly set in with Pokémon Stadium being the bestselling console game in North America and Pokémon Gold and Silver dominating the handheld market. Most of the people who played both sets of games insist that they are major improvements over their predecessors. Were these games able to iron out the flaws holding back the original, thus allowing the series to fully grasp its potential? Growing up in the 1970s, a boy from Machida, Tokyo named Satoshi Tajiri enjoyed collecting insects. Such was the zeal for his hobby that other children called him “Doctor Bug”, and he initially wanted to become an entomologist. As he grew up, he became fascinated with an entirely new pastime: arcade games. He was enthralled with Taito’s 1979 arcade hit Space Invaders, though he played many others as well. Throughout his teenage years, his parents thought their son a delinquent, a perception exacerbated by him frequently cutting classes. He nearly failed to graduate from high school, prompting his parents, who were convinced he was throwing his future away, to take action. His father attempted to get him a job at The Tokyo Electric Power Company, but the boy declined. He eventually took make-up classes and earned his diploma. He didn’t attend university, instead opting to complete a two-year technical degree program at the Tokyo National College of Technology, majoring in electronics and computer science. In 1981, Mr. Tajiri had begun writing a fanzine he named Game Freak. It was handwritten and stapled together. The content focused on the arcade scene, offering tips on how to win or achieve high scores. Certain editions even listed any Easter Eggs contained within the games. The fanzine proved to be fairly popular in his area; the edition in which he wrote about a game named Zabius sold 10,000 copies. It caught the attention of one Ken Sugimori, who found it being sold at a dōjinshi shop. As someone who had an affinity for art, he asked Mr. Tajiri if he could help make the fanzine even more of a success. Suddenly, Game Freak now had an official illustrator. As more people contributed to the fanzine, Mr. Tajiri decided that most of the games he discussed were of a poor quality. Therefore, he and Mr. Sugimori drummed up a simple solution: make their own games. Mr. Tajiri had been interested in making his own game ever since he discovered the medium. After receiving a Famicom, Nintendo’s first true home console to use interchangeable ROM cartridges, he dismantled it to see the inner workings. He later submitted a video game idea in a contest sponsored by Sega and won. From there, he studied the Family BASIC programming package, which allowed him to grasp how Famicom games were designed. With the desire to head in a new direction, Game Freak the fanzine ended in 1986. Three years later, Game Freak the video game development company arose in its place. The duo wasted no time pitching their first game to Namco: Quinty. Known as Mendel Palace when it was exported to North America, Quinty combined action and puzzle game elements. The player character is placed on a 5 by 7 grid of floor tiles. 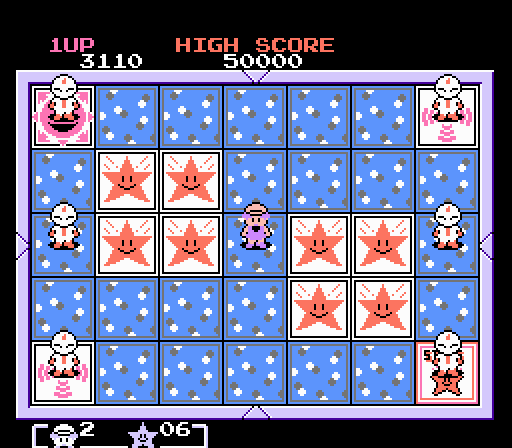 The player must flip tiles to defeat the enemies that seek to collide into their character. Though satisfied with their first product, Mr. Tajiri wanted to create something a little more personal. As he grew up, the areas around him became progressively more urbanized. As a result, many incent habitats were lost. Moreover, with the rise of home consoles, children began playing in their homes rather than outside. Not wanting to let the joy he felt catching and collecting creatures die, he sought to make a game capable of encapsulating that wonder so he may pass it on to others. His idea for this game began forming in 1990. The previous year saw the release of Nintendo’s Game Boy console. In an era when portable games traditionally consisted of static images on a LCD screen, the Game Boy took the world by storm. The idea of a portable albeit monochromatic Famicom was unheard of, yet the reality couldn’t be denied. As soon as he observed the Game Boy’s ability to communicate between consoles, Mr. Tajiri knew that this game was destined to debut on the handheld platform. When he thought of people using the link cable required for multiplayer sessions, he imagined bugs crawling back and forth between them. The original name of this game was to be Capsule Monsters. Mr. Tajiri had taken inspiration from the gashapon, a variety of vending machines popular with children that dispense toys encased in a plastic capsule. The characters in his game would carry capsules containing monsters that were released upon throwing them. Because Mr. Tajiri had difficulties trademarking the name “Capsule Monsters”, he tried to make it into a portmanteau, “CapuMon”, before changing it to Pocket Monsters. Mr. Tajiri was a bit nervous upon presenting his idea to Nintendo, believing they would reject his idea. Indeed, when he pitched the idea, they didn’t fully understand the concept. Nonetheless, they were impressed with the promise he had displayed in his first games and decided to explore it. Shigeru Miyamoto, the creator of two of Nintendo’s successful franchises, Mario and The Legend of Zelda, began to mentor the up-and-coming developer, teaching him as the game was being created. Pocket Monsters ended up taking six years to produce. For most of the development process, there wasn’t enough salary with which to pay Game Freak’s employees. Over these six years, five employees quit, and the company faced an impending bankruptcy numerous times. Mr. Tajiri himself didn’t take a salary, living off his father’s income. Fortunately, he and his team received help from an unexpected source. In 1989, a company named Ape, Inc. was founded. Their first product, released in the same year, was Mother – a passion project of famed copywriter Shigesato Itoi. Though it would be some time before it saw an official release abroad, Mother remains to this day a beloved classic in its native homeland, possessing an intergenerational appeal few other games had. The team stuck with Mr. Itoi when creating its sequel, Mother 2. When the programmers began running into problems, Satoru Iwata of HAL Laboratory stepped in to salvage the project. The game was released to a warm reception in 1994. Unlike its predecessor, Mother 2 would receive an official Western localization, under the name Earthbound. Though initially a sales disappointment, Earthbound would receive a fair bit of retroactive vindication, and is now considered one of the best games ever made. The Ape team was dismantled in 1995, and one of its former members, Tsunekazu Ishihara, with Satoru Iwata’s assistance, founded a new company in its stead: Creatures. Many of the same people who helped develop Mr. Itoi’s were about to take cues from Mr. Iwata by saving another struggling project. They invested in Mr. Tajiri’s idea, allowing his team to complete the games. In exchange, they received one-third of the franchise rights. Pocket Monsters took such a long time to develop that Mr. Tajiri had assisted in the creation of two Nintendo games in the interim: Yoshi and Mario & Wario. He even directed a game for the Sega Genesis named Pulseman alongside Mr. Sugimori. After a long, arduous development process, Pocket Monsters was at last released domestically in October 1996. Upon completion, few media outlets paid it attention. This was reflected in how Famitsu, the most widely read video game publication in Japan, awarded it twenty-nine points out of a possible forty. In the six years between Mr. Tajiri conceiving the idea for Pocket Monsters and its release, the industry evolved to a point beyond recognition. Nintendo had a fierce, new competitor in the form of Sony’s PlayStation console, and they themselves had launched the Nintendo 64. Both consoles began experimenting with three-dimensional gameplay and every franchise attempted to make the leap. In the face of the medium’s experimental direction, any game retaining a 2D or side-scrolling presentation was doomed to fall by the wayside regardless of its quality. As a result of these factors, the Game Boy itself had rapidly declined in popularity. Despite having sold more than 100-million units worldwide, the platform was but forgotten by 1996. The only person interested in releasing anything for the portable system was Mr. Tajiri himself. Nintendo, on the other hand, was prepared to declare Pocket Monsters a loss long before the project saw completion. Therefore, nobody could have predicted the game to not only sell rapidly, but singlehandedly save the Game Boy as a platform. 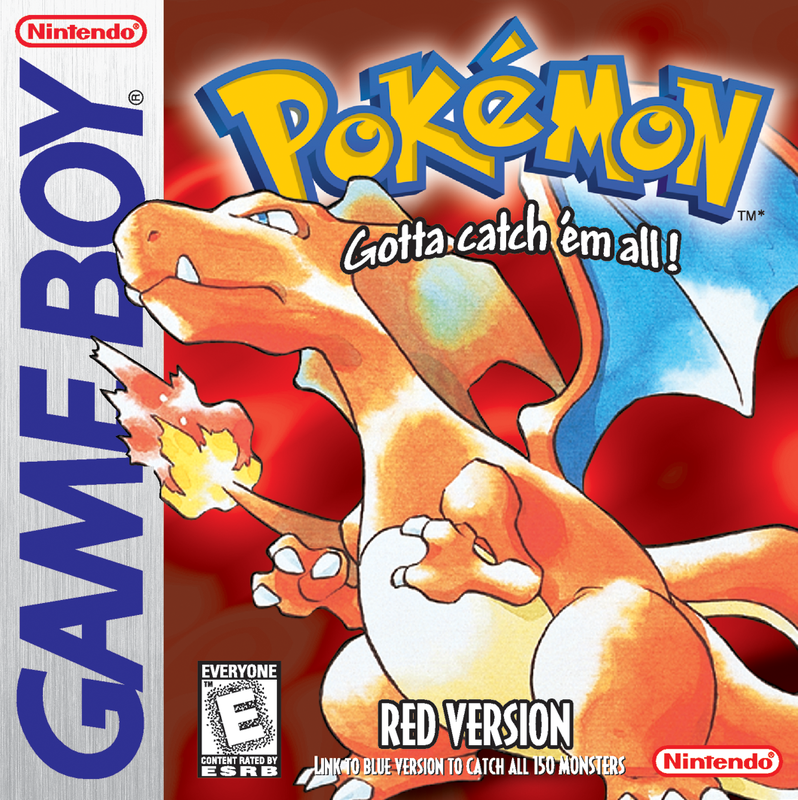 One of the reasons Pocket Monsters sold as well as it did was due to Nintendo’s idea to produce two versions of the game: Red and Green. In the face of this success, it was only logical for Nintendo to export Pocket Monsters to the West. In order to make this release successful, Nintendo is said to have spent over 50-million dollars to promote the games. Before their release, the Western localization team was highly skeptical about the concept. Believing the “cutesy” art style of Pocket Monsters wouldn’t appeal to Americans, they wanted them to be redesigned and “beefed up”. This was overruled by Hiroshi Yamauchi, the president of Nintendo at the time, who regarded the games’ possible reception in the United States as a challenge to face. On the eve of the games’ launch, an anime series premiered, bearing what was to be their localized name: Pokémon – a romanized portmanteau of its domestic title. 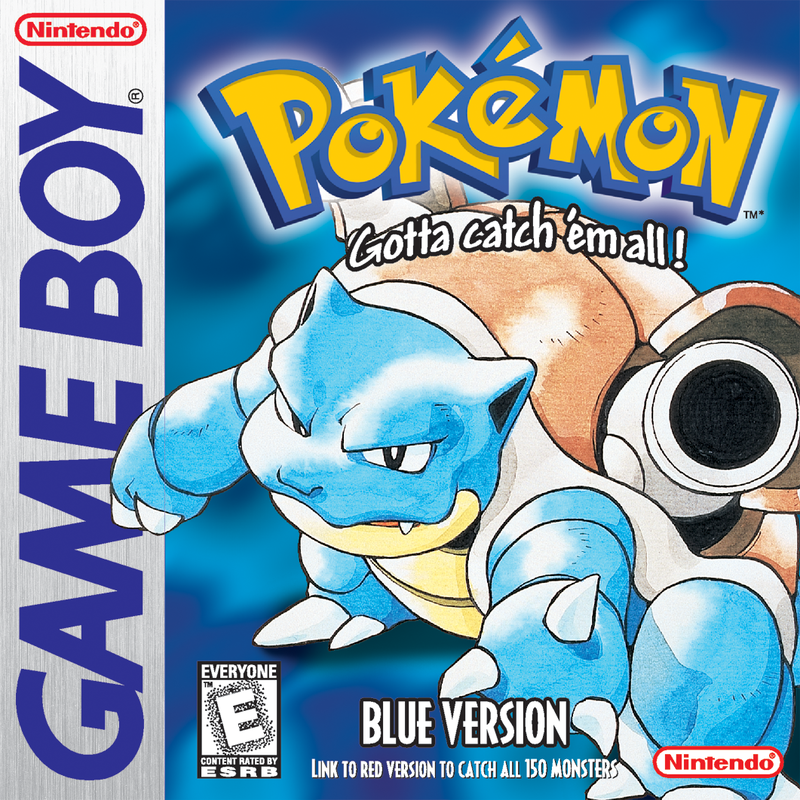 In September of 1998, two versions of the game, Pokémon Red and Pokémon Blue debuted in North America before receiving an official release the following October in Australia. The European gaming community wouldn’t receive a port until October of 1999. Whatever reservations the localization team may have had about the series’ overseas success were fully assuaged when these games began selling by the millions. It is nearly impossible to overstate how much of a phenomenon Pokémon was in the late nineties. It could be thought of as the Teenage Mutant Ninja Turtles or Transformers for a new generation of children – a truly inescapable work beloved by children from all walks of life. As a sign of the renewed interest in portable gaming, Nintendo released the successor to the Game Boy, the Game Boy Color, the very same year Pokémon debuted abroad. Having not only defied all odds and resonated with enthusiasts of varying backgrounds, but also breathed new life into Nintendo’s line of handheld consoles, how well do Pokémon Red and Blue stand the test of time? When Super Mario Land debuted as one of the Game Boy’s many launch titles in 1989, it became one of the handheld console’s first big hits. Notably, it would go on to sell over eighteen million copies, surpassing figures of its direct predecessor, Super Mario Bros. 3. Three years later in 1992, its sequel, Super Mario Land 2: 6 Golden Coins was released. 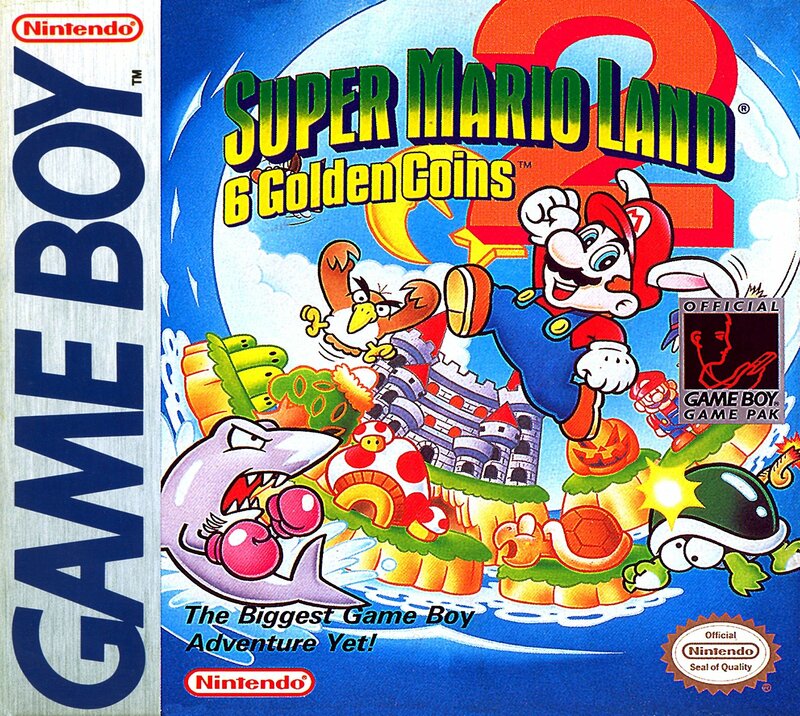 While Super Mario Land impressed many enthusiasts by giving them what amounted to a handheld version of Super Mario Bros., Super Mario Land 2 managed to improve upon the original. Featuring graphics and level design that wouldn’t seem out of place in the highly regarded, 16-bit Super Mario World, Super Mario Land 2 is considered even to this day to be one of the Game Boy’s strongest offerings. After the success of two Super Mario Land installments, fans eagerly waited for a sequel. Super Mario Bros. formed the basis for a solid trilogy on the NES. It therefore stood to reason that Nintendo would make a trilogy out of Super Mario Land as well. Such a development came to pass, but in a way nobody could’ve predicted. Part of why Super Mario Land 2 remains a popular game is its significant contribution to Mario canon. Specifically, it introduced Wario, a character who stood for everything Mario opposed. His name is derived from the Japanese world for bad, “warui”, but other cultures could identify his diametric opposition to Mario simply because of the letter emblazoned upon his cap resembling an upside-down “M”. In other words, a nuance that could’ve been lost in translation found itself jumping between cultures seamlessly. He was the perfect rival for Mario. He was driven by greed and self-interest. He proved what an effective villain he could be in Super Mario Land 2. He was to be the protagonist of its sequel. Nintendo was known for its unambiguously heroic protagonists; the idea of playing as Wario seemed inconceivable. Any chance of the ensuing marketing campaign being an elaborate joke on Nintendo’s part was dashed when promotional materials made the game’s name known: Wario Land: Super Mario Land 3. Despite, or perhaps as a direct result of, having gone completely off the rails, Wario Land was a commercial success upon its 1994 release, moving over five million copies worldwide. In some circles, this game is considered the strongest entry in the Super Mario Land trilogy. With its unlikely protagonist, did Wario Land truly surpass its highly regarded predecessors? The Game Boy was a success when it launched in 1989 with demand often exceeding supply. Among its launch titles was Super Mario Land, a 2D platforming game starring Nintendo’s mascot. Though Nintendo considered bundling a copy of Super Mario Land with every console, they instead chose Tetris, a puzzle game from the Soviet Union that was quickly becoming a phenomenon in its own right. This minor setback didn’t stop Super Mario Land from becoming a hit, as sales figures managed to surpass those of its direct predecessor, Super Mario Bros. 3. With thousands upon thousands of Game Boys sold and the console boasting a number of highly popular titles from the outset, the only thing left to do was continue experimenting with the platform. 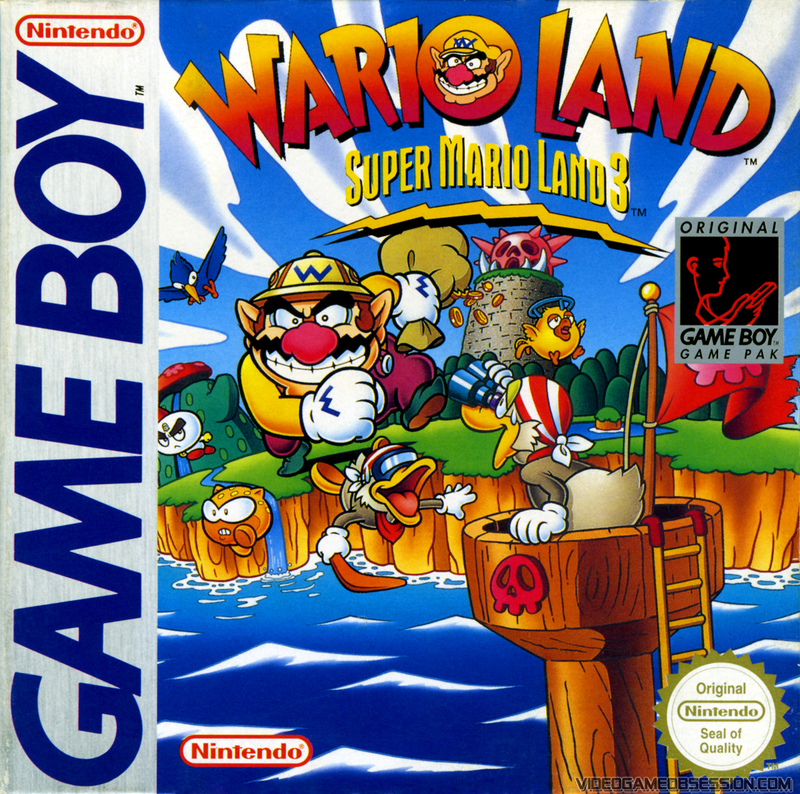 In November of 1991, development for a sequel to Super Mario Land began. Production of the game went smoothly, only taking ten months to complete. It was released domestically in October of 1992 under the name Super Mario Land 2: 6 Golden Coins. The game received a North American release the following November, and it saw the light of day in Europe in January of 1993. Like Super Mario Land, the game was a commercial and critical success. Since then, it has been considered one of the hallmarks of the original Game Boy. Official Nintendo Magazine ranked Super Mario Land 2 forty-fourth on their list of the Greatest Nintendo Games in 2012, implying an enduring appeal. The takeaway is that most people who compile a list of the best Game Boy titles will include Super Mario Land 2. Does it indeed manage to surpass its predecessor – the game that marked the debut of Nintendo’s flagship franchise in the handheld market? The golden age of arcade games helped solidify the medium, and it didn’t take long for the creators to begin experimenting. During that time, the only way to play a video game was to visit an arcade and insert coins into a cabinet. Because of this, the idea of being able to easily port one around on one’s person was particularly enticing. One of the earliest attempts at creating a handheld experience came in the form of Nintendo’s Game & Watch product line. This idea resulted from its creator, Gunpei Yokoi, observing a bored businessman on the Shinkansen playing around with his LCD calculator in 1977. The first few models sold under the Game & Watch trademark sold millions of units, effectively inventing a secondary market within the industry. Though the subsequent success of their Famicom console cemented their status as one of the big players in the home gaming market, Nintendo wasn’t done experimenting with handhelds. As the eighties drew to a close, Research & Development 1, the team led by Mr. Yokoi, worked on a product to succeed their Game & Watch line: the Game Boy. However, this product had one important distinction from what came before. Still images were printed onto the LCD screen of a Game & Watch unit akin to how numbers are displayed on a basic calculator. This allowed the creators to get around strict memory limitations by not having to animate sprites. This wasn’t going to be the case with the Game Boy. It was to be a true 8-bit console, making full use of interchangeable cartridges – just like the Famicom. The only drawback is that it would lack color. Part of what allowed the Famicom, or the Nintendo Entertainment System as it would be dubbed overseas, to enjoy the success it had was thanks to a little game called Super Mario Bros. It became a phenomenon upon release in 1985, not only pushing the sales of more units, but also revitalizing the American gaming market after its debilitating crash in 1983. Partially because it often came bundled with the console itself in package deals, the game went on to sell over forty-million copies. Overnight, Mario became one of the most recognizable video game characters of all time, so it was only natural that he should star in one of the Game Boy’s launch titles as well. Shigeru Miyamoto, the man who created Super Mario Bros., left development of this new Mario title in the hands of Gunpei Yokoi’s team. Appropriately, the one who invented the Game Boy, Satoru Okada, would serve as its director. It was planned as the console’s premier title until Dutch gaming publisher Henk Rogers brought the highly popular Tetris to Nintendo of America’s attention. From there, he convinced branch founder Minoru Arakawa that the game would help Nintendo reach the largest audience. The company then agreed to bundle Tetris with every Game Boy purchase. April 24, 1989 marked the domestic release of the Game Boy. The entire stock, which consisted of 300,000 units sold out within two weeks. It then proceeded to sell 40,000 units on its very first day when it launched in North America a few months later. 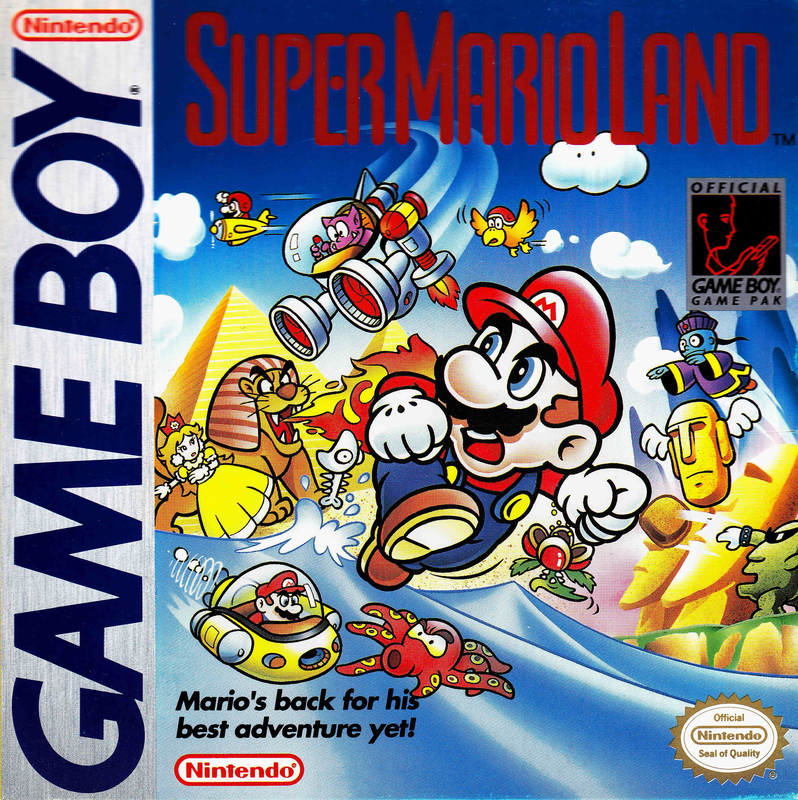 Despite Nintendo electing to make Tetris the showcase title, the finished Mario installment, Super Mario Land, was among the handheld console’s launch titles. That it wasn’t bundled with the Game Boy did nothing to deter fans, for it managed to sell over eighteen-million copies, eclipsing figures of the series’ previous installment, Super Mario Bros. 3. Does it hold up to the same degree as its generation-defining predecessors? A few years after the Game Boy’s release in 1989, a programmer from Nintendo by the name of Kazuaki Morita began working on an unsanctioned side project. Using one of the console’s first development kits, the game he created bore many similarities to The Legend of Zelda. His endeavors caught the attention of his peers, who were members of the Nintendo Entertainment Analysis & Development staff, and they joined him after hours, forming what they themselves described as something akin to an afterschool club. They saw potential in the experiments, and the 1991 release of the series’ third installment, The Legend of Zelda: A Link to the Past, prompted its director, Takashi Tezuka, to ask the executives for permission to develop a new entry for the handheld console. It was originally intended to be a port of A Link to the Past, but before too long, it evolved into an original game. The game used the engine of The Frog for Whom the Bell Tolls, a 1992 title co-developed by Nintendo and Intelligent Systems, and a majority of the staff who worked on A Link to the Past returned for this installment. Entitled The Legend of Zelda: Dreaming Island, it took one and a half years to develop, debuting in June of 1993. The downgrade in visuals and hardware wound up not hampering the game’s reception in any way, as it received positive reviews from critics across the board, and millions of copies were sold. 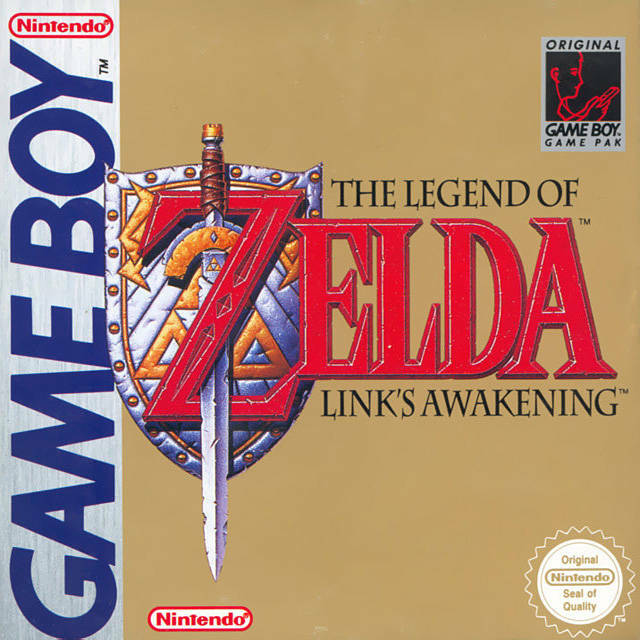 It saw its Western release later in the year under the name The Legend of Zelda: Link’s Awakening. The dual success of this game both domestically and overseas were such that it bolstered Game Boy sales by nearly thirteen percent. It also notably remained on bestseller lists for more than ninety months after its release – a feat very few games in the medium’s history have accomplished. From this, it could be extrapolated that Link’s Awakening had an enduring legacy which made people want to play it for themselves years after its debut. To this day, it’s considered one of the greatest games ever made, with some people citing it as a superior effort to even the beloved A Link to the Past. Working with far more restrictive hardware limitations, was Mr. Tezuka and his team truly translate a then-peerless experience to the Game Boy? Gunpei Yokoi’s Game Boy sold millions of units on its launch day in 1989. So great was the popularity of the first handheld console to truly come into its own that the one million units shipped overseas sold out within a few weeks. Three years prior to the Game Boy’s release, a London-based developer named Argonaut Games created Starglider for the Commodore Amiga and Atari ST. This game, heavily inspired by the vector-based graphics of Atari’s coin-operated Star Wars adaptation was one of the earliest first-person combat flight simulators available for home computers. It wound up being one of the bestselling titles for the platform, and won Crash magazine’s “Game of the Year” award in 1986. 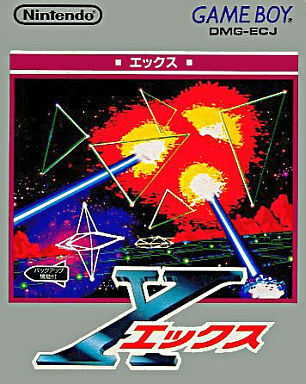 After observing the then-unique mechanics of Starglider, Nintendo sought to create a similar game for their handheld console. This project was slated to be published by Mindscape, a company established in Novato, California under the names Eclipse or Lunar Chase before Nintendo themselves took over the project after becoming interested in the idea of having three-dimensional graphics in a Game Boy title. Helming this project was Yoshio Sakamoto, a Nara Prefecture college graduate who worked under Gunpei Yokoi’s supervision, contributing pixel art for the NES classic, Metroid. Shortly before the game’s release, then-president Hiroshi Yamauchi shortened the title to a single English letter: X. When it was released in 1992, it proved to be a moderate success, providing the Japanese audience with a completely new experience while pushing the technical capabilities of the Game Boy to its absolute limits. Famitsu magazine would go on to list X as one of the Game Boy’s most influential titles, being the first 3D game released for a handheld console in Japan. In 1980, Nintendo helped popularize the concept of portable games with the release of their first Game & Watch console. The man behind this invention was Gunpei Yokoi, the head of Nintendo’s first R&D team. Perhaps the most significant development to result from these consoles was the cross-shaped control system commonly known as a directional pad (D-pad). This proved an effective alternative to the bulky arcade joysticks most people were used to at the time. Indeed, the controller of Nintendo’s first home console to feature interchangeable cartridges, the Nintendo Entertainment System (NES) was developed by Mr. Yokoi as well, which is why it bears a D-pad similar to one that originally appeared on his Game & Watch units. Shortly after the NES’s debut, Mr. Yokoi received a request from the management to create games for it. One of the most notable titles produced by him during this time was Metroid. Though it may seem like a simple platforming game on the surface, Metroid broke the mold by allowing players to explore what was essentially a single large level in search of power-ups and secret passageways. In an era when the goal of platforming games were rarely more complex than “go right,” many of which completely forbade players from backtracking at all, Metroid accomplished something that was largely unprecedented in the console market, earning its rightful place in history for pioneering a new subgenre. Nearing the end of the decade, Mr. Yokoi and his team began developing a new console, hoping to improve on their Game & Watch concept by applying everything they had learned from developing console games to the handheld market. The project was completed in 1989 and went on to become a brand synonymous with portable gaming in the nineties. The name of this invention was the Game Boy. Because hobbyists were enthralled with the idea of having what amounted to a portable NES system (albeit without any colors), Mr. Yokoi found that he was behind yet another success; a shipment of one million units to the United States lasted for but a few short weeks before they completely sold out. 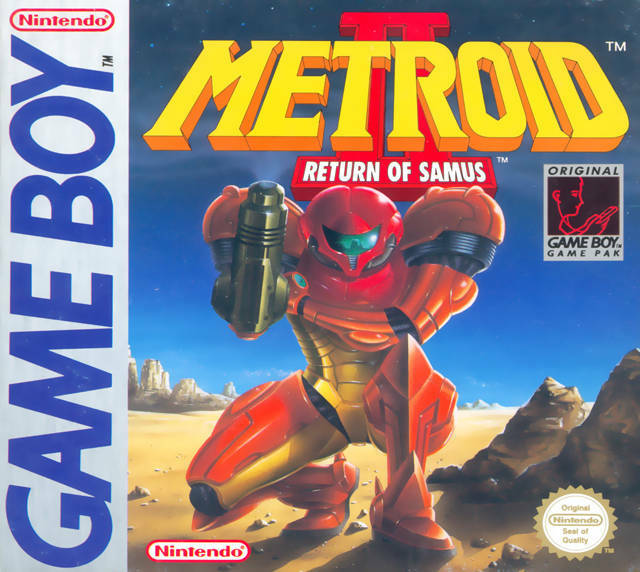 Shortly after the Game Boy’s debut, Mr. Yokoi, along with the staff of his R&D division, decided to create a sequel to Metroid, aiming to showcase the capabilities of their newest console. This newest chapter in the Metroid saga, titled “Metroid II: Return of Samus,” was released in North America in 1991 and the following year in Japan and Europe.